Working in a cold environment presents unique challenges. 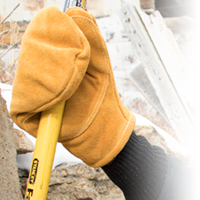 Not only do you need protection for standard job duties, you also need protection from the cold. 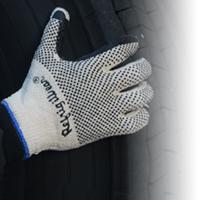 So how do you know what kind of glove offers the best protection and features for you? That’s where RefrigiWear® can help. Below we clarify some common glove features and terms, explain the different categories, and discuss the benefits and best fit for each. The key factors you must always consider when choosing a glove: what temperature does your work environment feel like (based on air temp and activity) and what activities do you do that may require additional protection (like impact protection or cut resistance). 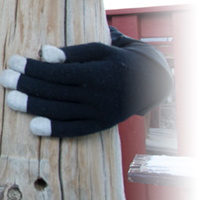 First, use our Comfort Ratings to see if you need an insulated glove based on your environment. 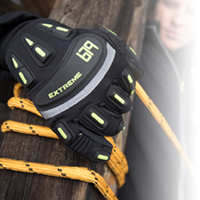 Insulated gloves are separated into 3 different types: Performance, Hybrid, and Leather. Performance Gloves offer the latest advancements in protective hand wear, with a range of features such as high dexterity, additional gripping power and impact protection. These features are designed to keep you protected from the cold while keeping your performance high, so your productivity doesn’t suffer. 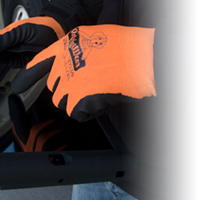 When dexterity matters for your job duties, Performance Gloves are the best option. Leather Gloves are classic work gloves that have proven they can provide excellent protection against abrasion, making them tough, durable and long-lasting for most job functions. Different leather types offer different benefits, while additions like palm grips or a dipped coating assist with different job duties, protection, warmth and water repelling. 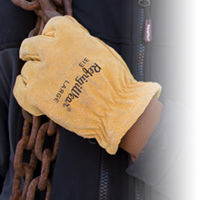 Great on docks, for wood handling, product stacking, and more, Leather Gloves are a great option for heavy-duty tasks. Mitts provide more warmth than gloves because the fingers are kept together to radiate heat. There are a number of different mitt types: insulated, convertible, and 3-finger are just a few. When dexterity isn’t a priority but warmth is, such as when driving a fork lift or other machinery, mitts are a perfect choice. 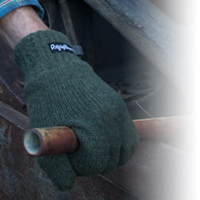 Wool Gloves offer natural warmth and wicking ability. No other natural material can compete with wool for warmth and comfort. Features like silicone or leather on the palm make wool even more functional. Excellent for those with active jobs where moisture-wicking is needed. .
Palm Coated Gloves offer all the beneficial features of our high-quality knit gloves with the added benefits of additional grip and are pre-curved for a more ergonomic fit to reduce hand fatigue. Superb for positions that deal with condensation or other moisture and need additional grip assistance. Specialty Gloves are specifically designed for unique situations, providing solutions like impact protection and extreme grip, along with cut-resistant options for extra protection. Great for a range of job duties that require additional protection. For example, impact protection not only helps with possible drop impact, but the repeated impact of grabbing boxes or product. Knit Gloves are constructed to allow more breathability and warmth. Many have various types of coatings to provide abrasion protection, make gripping items easier and also reduce hand fatigue. A good choice for active jobs where additional grip assistance is needed. 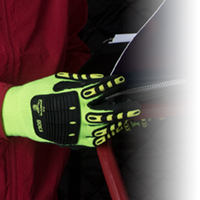 Each glove type offers its own unique features that make them well suited to a number of different activities. Along with the added features mentioned above, such as impact protection and cut resistance, many offer other helpful features designed to tackle unique problems encountered when working in the cold. For example, touch screen capability or our exclusive Key-Rite and Touch-Rite nibs so you don’t have to remove your gloves when working with keypads or screens. Whatever the unique conditions and activities you face are, there is a glove that is a perfect fit.